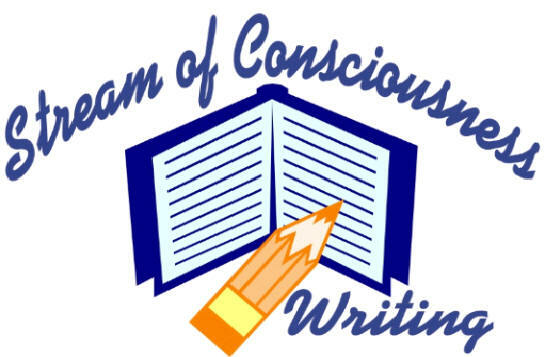 Stream of Consciousness writing is one of the best methods to get in touch with your Inner Self. It is a way of writing that is spontaneous, unedited and unstructured. You need no other intention than that of wanting to write and be creative. It's an excellent way of getting around your Ego, the left-brain part of you that tells you what you are supposed to feel from the patterns that you developed as a child; that is, how you were taught to feel and think. It is heart centered. It is best to write first thing in the morning, while you’re in a relaxed state, even if this means getting up earlier. Keep your pen or pencil moving and write until you have finished 2-3 pages. Don’t try to analyze, correct, spell out, or punctuate what you’re writing. Being analytical throws you into the left-brain. Have fun and let the thoughts flow free of censorship or logic. Pick a topic and write about it-- exercise, fishing, painting, dog, cleaning, etc. Write down everything you can think of about it. This is not a journal that keeps track of everything you’ve done, although it is fine to write about events, situations or relationships as long as you focus on how you feel. Let the emotions freely surface. Don't get side-tracked or bogged down by details as throws you into the left-brain and you begin thinking too much. How does it feel in your gut. Take a deep breath and feel as if you're breathing from your navel. Let yourself sink and become immersed in your emotions. You may find the EASE Method useful here to help you process what you're really feeling. It is very beneficial to examine what you have learned, especially from trying situation. You may want to begin the process by answering a question. E.g., if you are having a DIFFICULT time ask yourself: "How will this experience help me to grow? What strength is needed now? Is it time to expand and test new abilities? How have I overcome troublesome situations in the past? Can I envision and energize what I want to happen?" 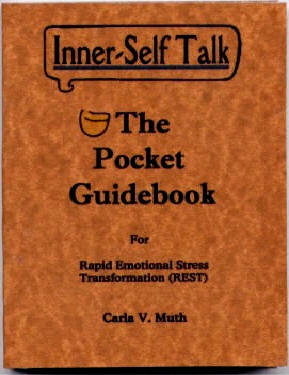 Carla's book, Inner-Self Talk, The Pocket Guidebook, is especially helpful in this area. You can ask yourself how you feel about your partner, relative, job, an upcoming trip, an illness or injury, etc. If you don’t start to see significant positive results within two weeks, then quit! After 6 weeks, you should see a conspicuous change in your life. It is a very powerful tool for transformation.